Orchardgrass is valued for its nutritious and palatable hay, and has been a major crop in Virginia for decades. Jerry Turner prepares to ship soil samples from his hay fields in Luray off for fertility testing. Extension Agent Bobby Clark in his Shenandoah County office. Clark has been part of a broad effort in the region to understand and fix widespread problems farmers have been experiencing with orchardgrass. 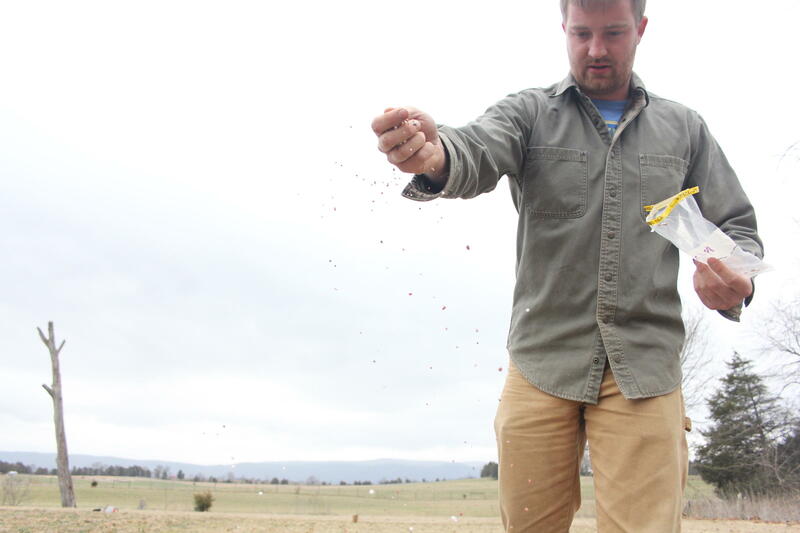 Virginia Tech doctoral candidate Gordon Jones scatters fertilizer on some orchardgrass test plots in a field north of Harrisonburg. Part of Jones' research is looking at the effect of soil fertility on orchargrass growth and longevity. But something is wrong with the orchardgrass these days. WMRA's Andrew Jenner takes a look at the problem. Of the world’s 11,000 species of grass, just a few are widely grown by farmers in Virginia. Of that few, one of the most important is called orchardgrass. JERRY TURNER: Cattle like it. Horses like it. It’s relatively high in protein. It digests easy for both cattle and horses. It’s just a very desirable grass. Across the Mid-Atlantic, farmers like Jerry Turner in Luray grow orchardgrass on an estimated 1 million acres. Or, at least they’re trying to. TURNER: We’ve noticed over the last 20 years the orchardgrass doesn’t have the longevity that it did back years ago. After about two or three years, the stand starts thinning out. And then weeds come in and take its place, so we’re constantly battling that. It doesn’t have any tolerance to drought and diseases. It dies out pretty quick. It is concerning. It is somewhat discouraging that you go to all this trouble and year after year we still have the same problem. Seed costs Turner about $100 an acre. Fertilizer, labor and other things add to that cost. In the good old days, farmers could cut hay off an orchardgrass stand for a decade or so, and the investment was well worth it. But with just two or three years of hay production from a field, things don’t pencil out as well. TURNER: From a financial standpoint, it is causing us quite a few problems, because once that stand thins out, then we have to go back in and reestablish it, and it’s very costly. BOBBY CLARK: In the Mid-Atlantic region, we estimate that the problem that we are having is costing farmers about $40 million a year. 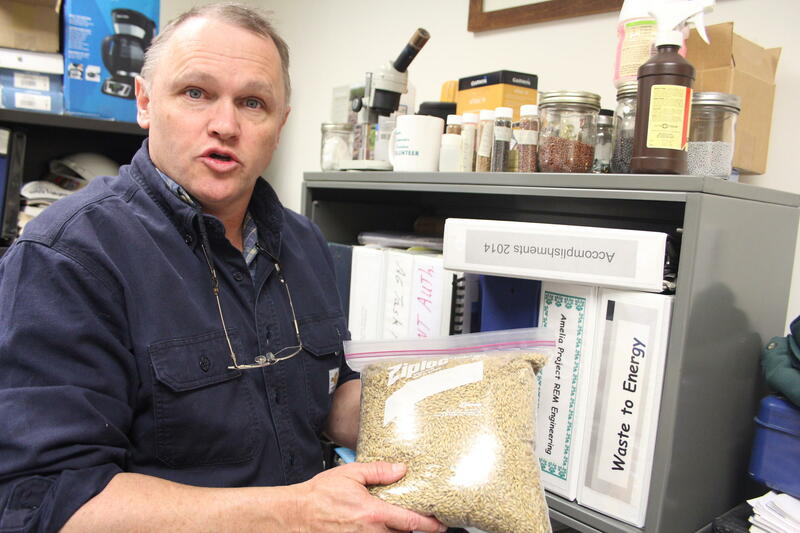 Bobby Clark is an extension agent in Shenandoah County who’s been looking into the mysterious decline of orchardgrass for years. As Clark and other experts worked with farmers, it became clear that their expert advice wasn’t helping. CLARK: There were many, many people who were following all the right recommendations. They were doing everything they could, and yet they were still having these problems. It was time to go back to the orchardgrass drawing board, and that’s where Gordon Jones comes in. 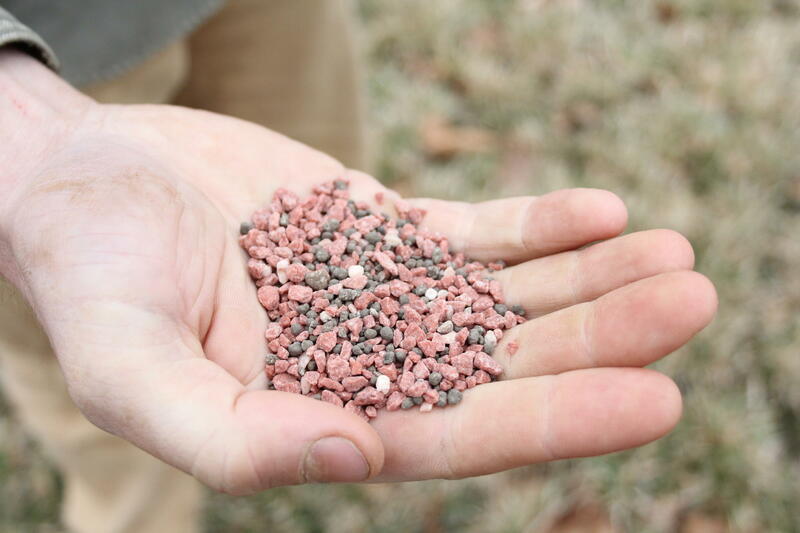 He’s in a field north of Harrisonburg, right beside Interstate 81, scattering colored fertilizer pellets on 60 small test plots of orchardgrass. JONES: And so here we’re able to look at rates of the commonly applied fertilizers and see how both the various amounts and the interactions of fertilizer impact the yield and then we’ll look at the persistence after three years. Poor soil fertility is one of many things that Jones and others suspect may be hurting orchardgrass. He’s also looking at pests and diseases and running an experiment to see how different cutting heights might factor in. Since commerical seed is mostly grown out West now, some think it may not be well adapted to our Eastern climate. Turner wonders whether new varieties have been bred with too much focus on yield, at the expense of longevity. JONES: Another one is questions about how has the climate changed in Virginia, and has it changed in ways that are relevant to orchardgrass production? Orchardgrass is a what’s called a cool-season grass. That means it grows well in the spring and fall, but not so well during the hot summer. Here in Virginia, we’re near the southern edge of its range. Temperature data from several weather stations in the area do show slight warming trends over the past few decades. JONES: And so it’s not unreasonable to think that we may have some heat stress because we’re in the southern part of the range of orchardgrass, and as we’re seeing increased temperature, we might expect that there would be more stress. These are all still just ideas. And Clark says it’s possible – likely, even – that no single one is going to be identified as a culprit. CLARK: My theory is that these things are interacting with each other. Say there’s a field with some disease pressure, and then the farmer cuts it too short during a heat wave, and then the fertility isn’t ideal. CLARK: Well, maybe the orchardgrass could have stood up to one stress, but two or three stresses killed it. So I think we are likely going to find that it is just not one major factor. It’s probably a combination of these. Call it death by a couple cuts. 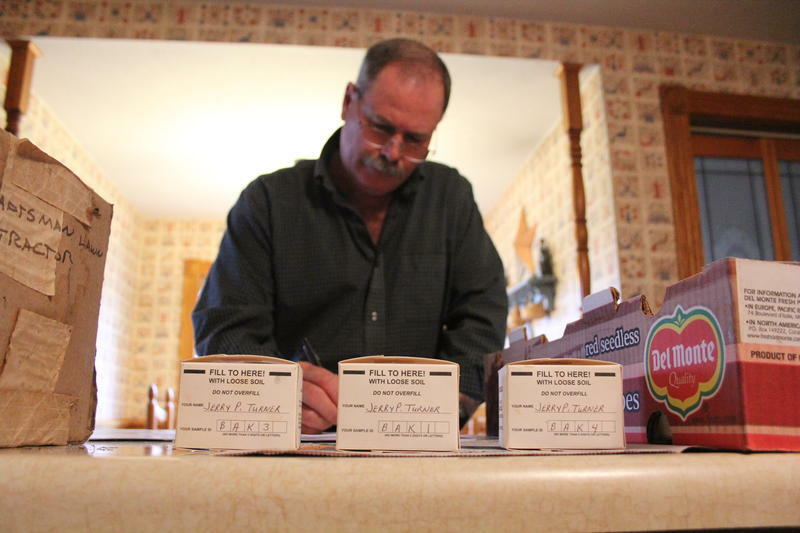 Though it’s still an expensive and mysterious problem for orchardgrass farmers, Clark feels good about the way things are headed. CLARK: This is the way things work in a perfect world. The communities have a problem, the university responds with research, and I am very optimistic that the research Gordon is doing will lead to some solutions in the future. Jerry Turner and thousands of others hope he’s right.